Who knew Rachel would end up with Chandler!! 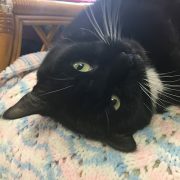 We thought she loved Ross…:-) Rachel is a big, loveable 7 year old female Tuxedo! She’s affectionate, loves to play and is very round! She came to us with her buddy, Chandler, who has already been adopted. 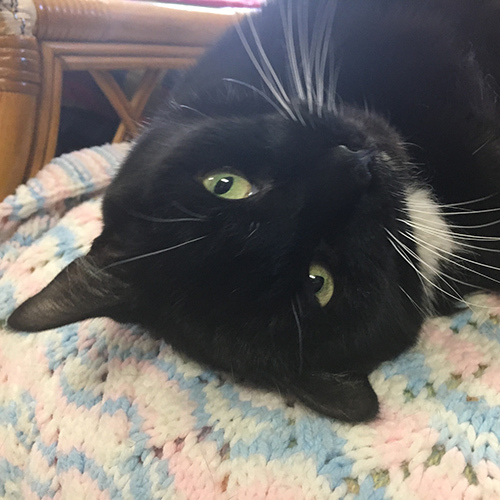 But Rachel would prefer to be the only cat anyway so that she can get all of the attention from you once she gets to her forever home!